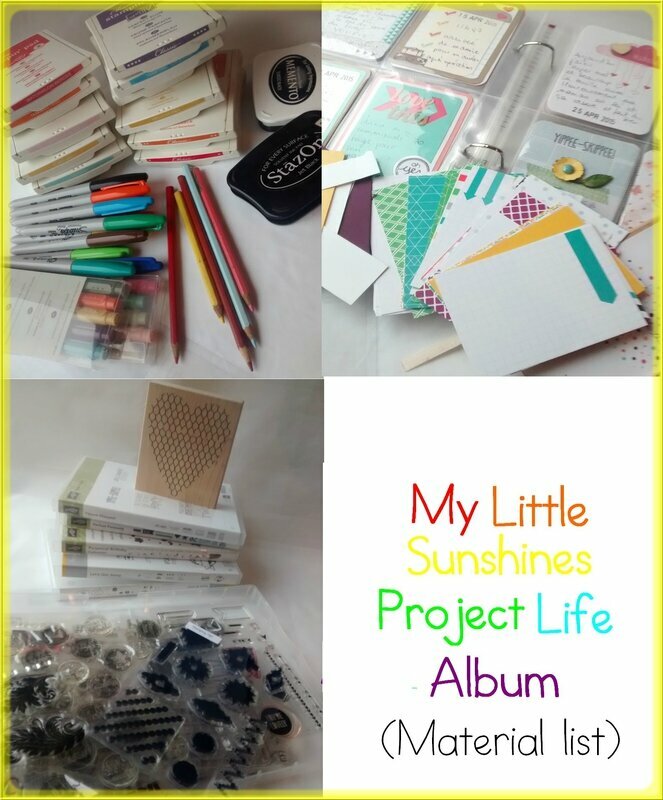 Today is the first card release of my Little Sunshines Project Life 2016 calendar card project. If you are a little curious about how this project came to life, you can read the story here. For this project, I wanted to have all cards based on the same theme background. 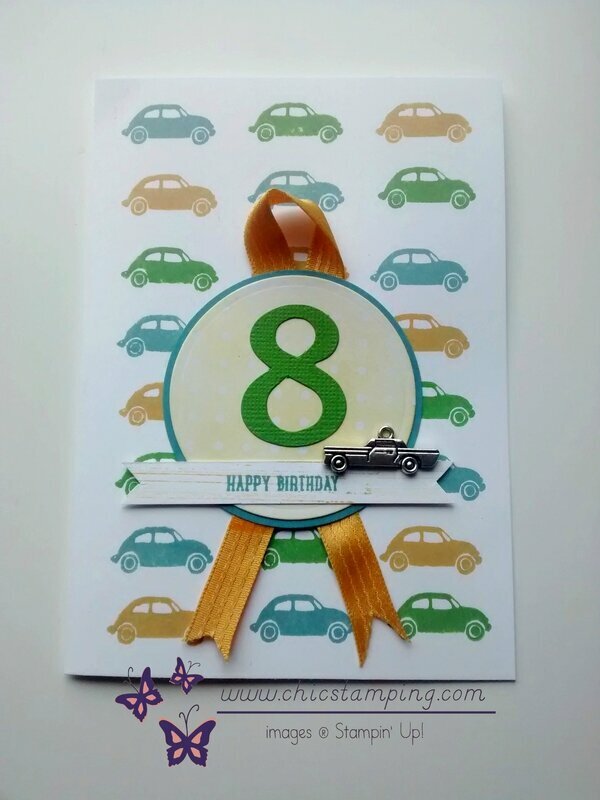 I used the really great stamp set Perpetual Birthday Calendar stamp set from Stampin'Up! Then I mixed and matched with different other stamps sets and embellishments from my stash. And because I love all my punches, colors and papers, I sometime use some retired products as well. They are retired from the catalog but still really fantastic, right? All cards just take only a few minutes to create without using tons of material. They are simple and easy to make! Put your pink glasses on, play some great music, grab your material and you are ready. Scrap piece of Pool Party cardstock and DSP grid. Inkpads: Basic grey, Hello honey and Island indigo. Sponge dauber and watercolor pen. Cut a white 4 x 3 card using the project life cards & labels framelits, or use your trimmer and a corner punch. 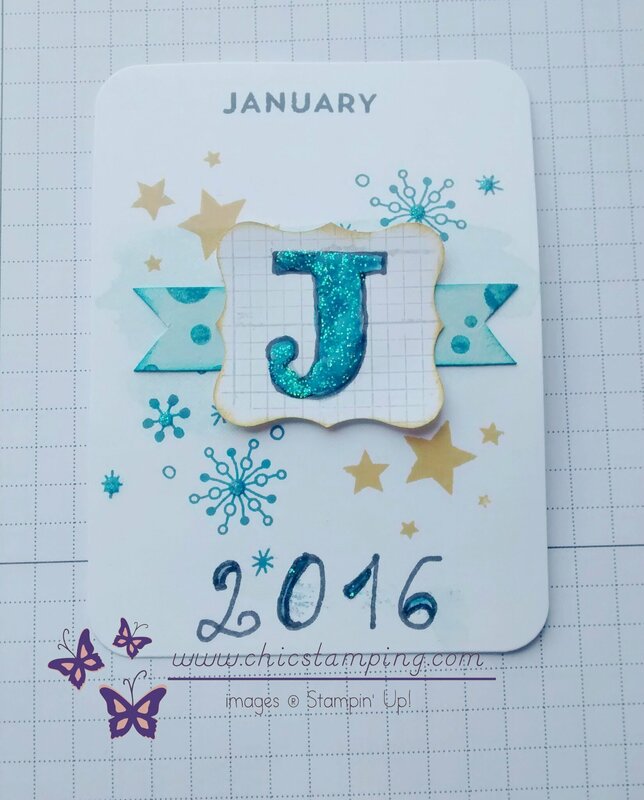 Stamp the stars and snowflakes in the middle of the card and January on the top. Stamp dots on a scrap piece of blue paper and cut the V shape with your scissors. Draw a big letter J on the middle of grid design. Punch it then sponge the edges. Watercolor the J with Island Indigo and let it dry. Place a foam adhesive on the back. Write 2016 on the bottom of the card, let it dry. Watercolor inside the numbers. Add some glitters in all fun places. Let it dry good then glue your elements on your cards. Your card is finished! I hope you enjoyed creating it as much as I did. Tip: Prepare 11 extra 4 x 3 whisper white cards for the next months. Ink your stamp then gently stamp on a scrap piece of paper, then stamp firmly on your card. With photopolymer stamps, it's good to take your time and let the paper absorbe the ink. Don't remove it immediately. Give it an extra couple of seconds. 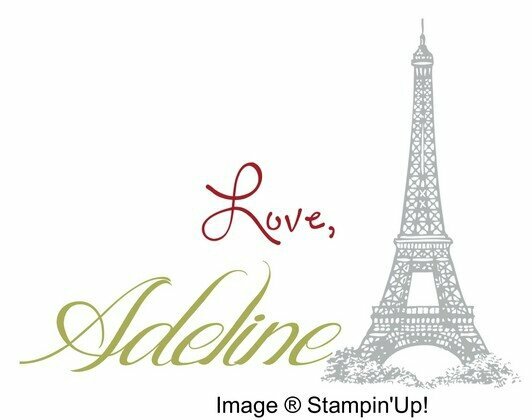 If you are using a dark color, stamp twice on your scrap piece of paper before stamping on your card. All the cards for this calendar will be released the last friday of each month. If you do not want to miss any, don't forget to subcribe to my blog. You can follow my step by step instruction here. See my other DIY Project Life cards on my pinterest gallery here.